20th Anniversary PlayStation 4 Unboxing! Today was a great day. Other than some big news happening behind the scenes at work… I also got my 20th Anniversary PS4 consoles in the mail! I waited for FedEx to drop them off the headed to the Mad Catz office this morning. We filmed this earlier today! So check out our unboxing and a teaser for our future giveaway! Happy 20th Birthday, PlayStation! Thank YOU! It was a cold winter’s day in December of 1994 when you came into the world. I remember those times well. December 3rd. The world was busy with everything else going on at the time… but I was patiently waiting for the revolution that you led. Street Fighter the movie with Jean Claude Van Damme as Guile (haha) was just released in theaters. It was cool to me at the time, but what did I know then? TLC was at the top of the US Billboard charts with their single “Creep” and just like you, they were creepin’ on the down low. I was but a 12 year old boy and even though you wouldn’t release until September 9th the following year. Your marketing team was right. URNOTE. I never fathomed the idea that 20 years — 20 MEMORABLE years of GAMING and ENJOYMENT — would be because multiple failed attempts to work with other companies in creating this new medium of gaming, the PSX. Michael Jordan was quoted saying that “I’ve failed over and over and over again in my life. And that is why I succeed.” Well, Michael Jordan is also considered the greatest of all time. Like Mike (heh), I consider you guys to be the greatest gaming company of all time. It is because of the PlayStation that I seriously pursued a career in journalism and learning more about the gaming industry. It is because of the PlayStation that I have found success in the gaming industry and I credit all that to your little revolutionary console. Thanks for everything. Mr. Kutaragi, if you ever read this or even if Mr. Yoshida reads this. Thanks for keeping the brand going throughout the years. I’ll be tweeting all about it today, I just know it. P.S. 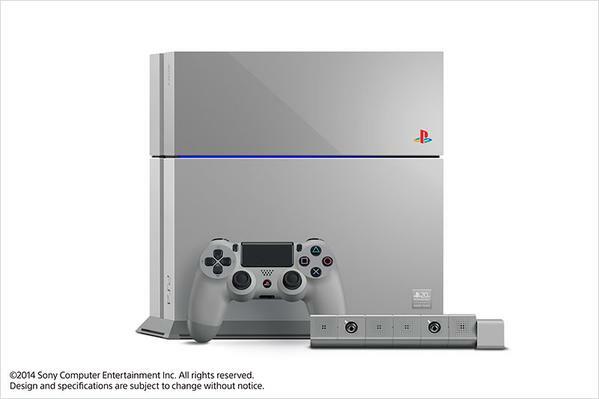 – I’m definitely going to try and import the 20th anniversary PS4. Wow that’s so cool!